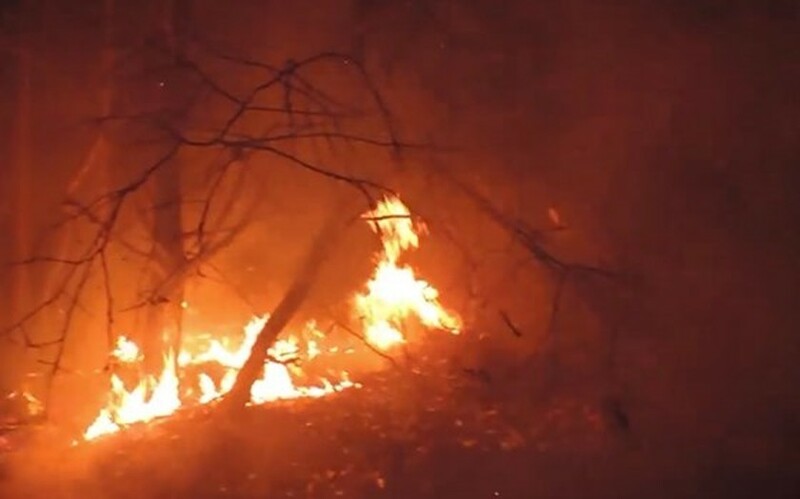 A huge forest fire suddenly occurred in the Ta Cu Mountain Nature Reserve, district of Ham Thuan Nam, Binh Thuan province yesterday evening. More than 30 hectares of forest were completely destroyed after the flames were extinguished at 4:00 am today. More than 100 local people and rescuers attended in the scene to actively participate in forest fire prevention and control the blaze; however, they suffered difficulties to access the site due to powerful sustainable wind at that time.